What Makes Our Smoothies Different? Our Smoothies are free from artificial colours, flavours, sweeteners and caffeine. They are also 97% sugar free* and breastfeeding friendly. When it comes to comparing Healthy Mummy Smoothies to other meal-replacement shakes and smoothies, it can get a bit confusing. That’s why we have put together a list of TEN reasons why our smoothies are different. Take a look at a comparison table to other brands here. 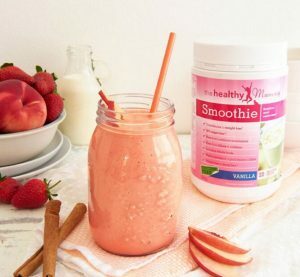 Many other brands contain fillers and weight loss accelerators – but not Healthy Mummy Smoothies. Fillers can lead to short-term unhealthy weight loss, which is just not The Healthy Mummy is about. Our Smoothies are packed in Byron Bay from natural ingredients and include whole foods, they help Mums achieve real results and lose weight for the long term**. Packed with more than 25 vitamins and minerals, Healthy Mummy Smoothies contain whole foods. Each ingredient has been selected to support mums (including those who are breastfeeding). Many other brands use poor-quality ingredients that are cheap to use, but don’t offer the nutritional support that mums need. Many competitors bulk out their products with sugar or fillers, which is not in line with healthy long-term weight loss. Healthy Mummy Smoothies are 97% sugar free and filler-free. Many people are allergic or sensitive to certain foods, and that’s why our Smoothies contain NO WHEAT, NO GLUTEN and NO DAIRY. Our Smoothies contain NO CAFFEINE and NO WEIGHT LOSS ACCELERANTS. This makes it absolutely ideal for breastfeeding mothers. We get great feedback from mums who report that their milk supply has improved since using Healthy Mummy Smoothies. If you have concerns about your allergies or intolerances for you or your baby, it is advisable to speak to your doctor first before starting on the smoothies. Some smoothies on the market are just protein shakes or supplements. They aren’t considered an adequate supply of nutrition to be considered a genuine meal-replacement drink. Our Smoothies are specifically formulated as a meal-replacement and meet Government standards for meal replacements in Australia and the EU. You can see a comparison table with other shakes here. As you will see from the fantastic results, Mums across the world are enjoying the health benefits that come with it, including weight loss. 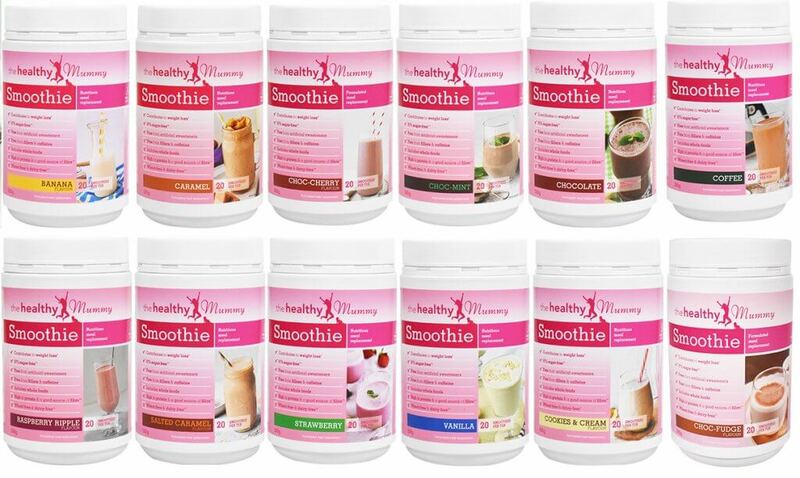 Many mums like to use the Smoothies in conjunction with our 28 Day Weight Loss Challenge. 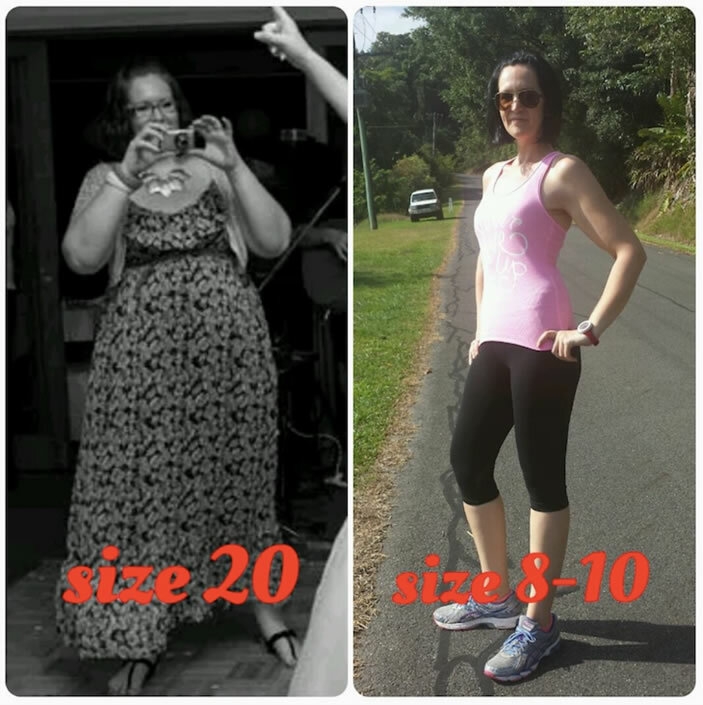 You can see the AMAZING results achieved by Mums drinking our Smoothies here. 1 in 2 mums are skipping breakfast due to time restrictions or tiredness. This has a negative impact on weight loss, health and metabolism. If you have two minutes to spare in the morning, the Healthy Mummy Smoothie is a fast, delicious and nutritious way to start your day. Enjoy the smoothies even if you are following the 28 Day Weight Loss Challenge. Our plans are 100% customisable so you can either make a smoothie for breakfast or lunch, or prepare something from our recipe selection. Pumpkin seed meal – The smoothie contains protein to help you grow muscle and repair tissues, zinc is for carbohydrate metabolism and iron is for energy production. Bromelain 5mg (from pineapple) – The Smoothie contains B6 which is essential for protein metabolism. Fenugreek – supports breastfeeding with a supply of healthy carbohydrates, dietary fibre, fats, iron, calcium and phosphorous. Dandelion root – supports the body’s absorption of nutrients, and also high in Vitamin A, C and B2, iron and calcium. Healthy Mummy Smoothies come in a great variety of flavours to suit ALL tastebuds and provide variety to your meal plan. Ideal for those on a weight loss diet, low GI foods such as Healthy Mummy Smoothies help to slow down the release of glucose in the body. This means you have less of a sugar spike or crash. The natural ingredients in Healthy Mummy Smoothies help you to feel fuller for longer, meaning you’re less likely to over-indulge or snack when you aren’t actually hungry. They will help your body’s digestion and elimination, an essential part of healthy weight loss. Our smoothies contain NO artificial sweeteners, and only a small amount of thaumatin – a natural plant based sweetener to give the smoothie its delicious flavour. Disclaimer: Always speak to your doctor before changing your diet, taking any supplements or undertaking any exercise program in pregnancy. The information on this site is for reference only and is not medical advice and should not be treated as such, and is not intended in any way as a substitute for professional medical advice.. The owners of The Healthy Mummy do not make any representations or warranties, express or implied and shall have no liability or responsibility to any person or entity with respect to any loss or damage caused or alleged to be caused directly or indirectly by the information contained herein and nothing in this disclaimer will limit or exclude any liability for death or personal injury resulting from negligence, limit or exclude any liability for fraud or fraudulent misrepresentation, limit any liabilities in any way that is not permitted under applicable law or exclude any liabilities that may not be excluded under applicable law.